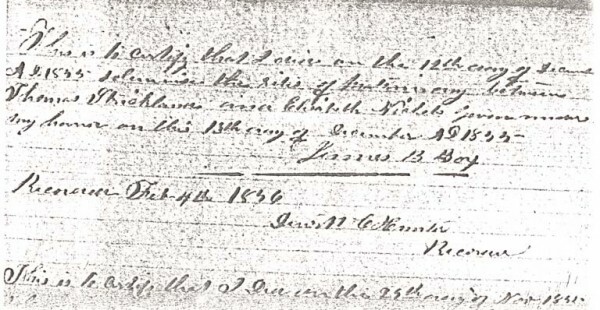 Courtesy of Judy Berndt, the marriage record of Thomas Strickland and his second wife, Elizabeth, who had been previously married to a man by the name of Nichols. This blog’s direct line is concerned with Thomas and his first wife, Elizabeth Shock. Thomas Strickland was born Oct 18 1802 in Williamson County, Tennessee and died January 1874 in Missouri. 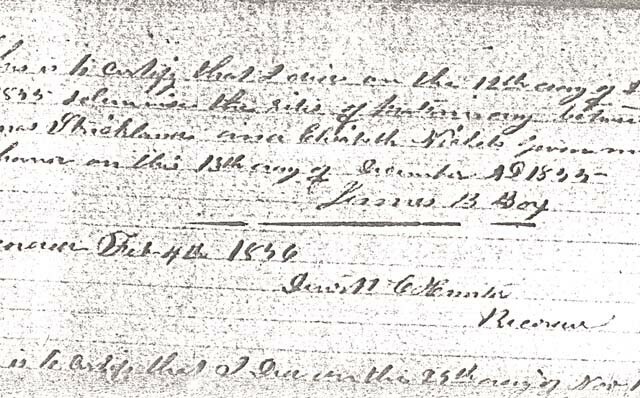 His first wife, Elizabeth, born Oct 28 1807 in Fayette County, Kentucky, died January 1853.